‘Be Child Wise’ eBook Now Available! 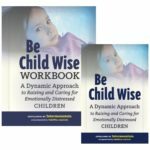 The ‘Be Child Wise’ Book and Workbook help parents identify why their child’s behavior can sometimes stir up their emotions and how they can make effective changes within their families. We are thrilled to announce that there is now an eBook version available on Amazon! Watch this video clip of Denis Estimon and “We Dine Together” the student led movement he created. Another inspirational story about the Power of One! 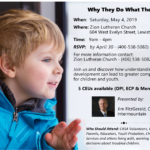 #FallSummitThePowerofOne For more information, visit: childwise.org/2018-fall-summit Register soon – seating limited – we do anticipate selling out! Fall Summit – Sept. 20 & 21, 2018 – Speaker Spotlight: Dan Griffin, M.A. Watch the video clip for our keynote speaker, Jim Morris, and his inspirational story about the Power of One! 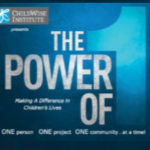 #FallSummitThePowerofOne For more information, visit: childwise.org/2018-fall-summit Register soon – seating limited – we do anticipate selling out!